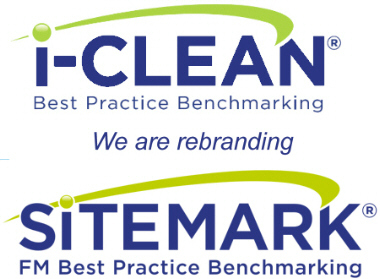 We're really pleased to be able to share with you the news that i-Clean will shortly be rebranding to Sitemark. Over the years, the i-Clean name has served us well and is well recognised as the first choice for value monitoring, through best practice benchmarking. Until 4 years ago, this was exclusive to commercial cleaning services and then we made the obvious extension into the recycling and waste sector. This too has been a great success and we already have a long list of impressive references and case studies where we have improved environmental performance and significantly reduced costs for clients. In January, we expect to benchmark our 300th separate service provider and we've already exceeded 7000 individual buildings. From offices, hospitals, schools, prisons, palaces and even London buses our review process helps compare like for like and also between sectors to identify and share best practices. Increasingly, however, we're finding that cleaning and recycling services are managed together with other soft services and that there are often clear benefits in doing so. This has led us to develop our review process so we can now also include security and portering services, either as a single or multi service benchmark process. The Sitemark name better reflects this wider FM coverage and the accreditation element of what we do. This year alone, we will have supported the shortlisting of 'Best in class' service providers for more than £200m of cleaning services that have gone to tender. Hence, we feel now is the time to make that change and take advantage of the way the industry is moving on.